There’s something very romantic about cruising. Seeing the world with that special someone. Getting away from it all. Time alone together. The slower, relaxing pace. Watching the sun rise and set over a beautiful sea with your partner beside you. These are just some of the many magical moments you’ll experience together on a luxury cruise voyage. If you’re thinking about planning a romantic adventure to reconnect, relax or celebrate your relationship, a luxury ocean cruise is an excellent option. Something about the ocean sparks romance. Since each cruise line is so different, it's important to choose the one that meets your specific needs to ensure your romantic adventure meets your expectations. That's what makes our cruise experts are so valuable. Read on for an inside look at the best luxury cruise lines for couples—elegantly-crafted cruise ships, incredible excursions, private events, extra perks, exotic ports-of-call and more—all available from CruiseInsider. The SeaDream Yacht Club exudes sophisticated romance but in a relaxed and casual way. This isn't traditional cruising, it's yachting. Each ship’s smaller size makes it more intimate; but despite sharing space with just over 100 discerning passengers, you’ll never feel overcrowded or out-of-place. Each stateroom is elegantly designed with separate seating areas and furnished with fine linen and comfortable beds. 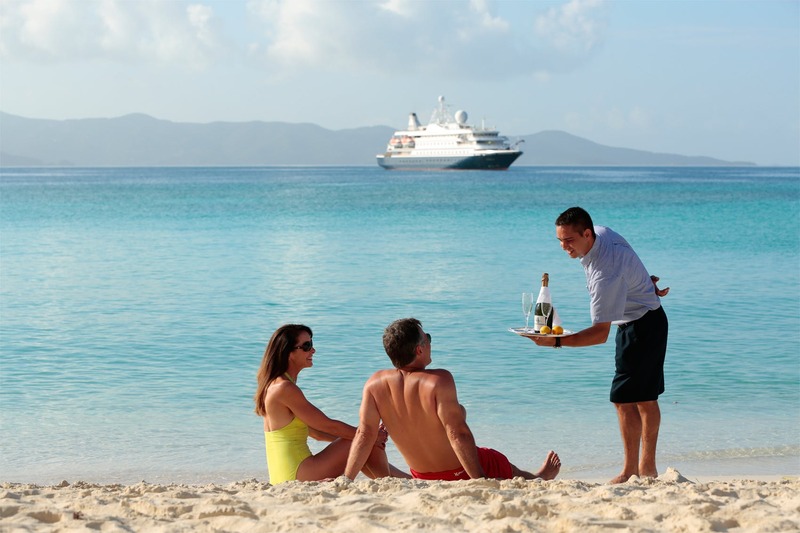 Service in the surf is a hallmark of the SeaDream lifestyle. In addition to the spacious rooms, you and your partner can indulge on incredible meals prepared by top-rated chefs. And because the SeaDream Yacht Club offers all-inclusive rates, wines carefully chosen for your meals and premium brand liquors perfect for cocktail hour are also included at no additional cost. Insider Tip: For a unique date night idea while at sea, reserve a pair of Balinese dream beds aboard, and use it to enjoy a beautiful sunset, watch a movie on deck or spend the night under the stars. If you and your partner are looking for an intimate cruising experience, then consider sailing with Azamara Club Cruises. Their boutique ships are smaller in size and the list of programs offered caters only to adults. 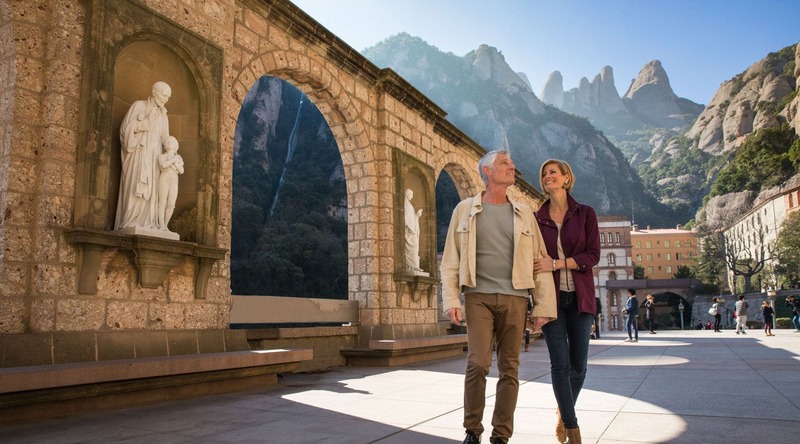 Additionally, what makes them one of the best luxury cruise lines for couples is the carefully chosen, personally crafted shore excursions that focus on true destination immersion and provide you and your significant other with unforgettable, one-of-a-kind experiences. Small, specialized excursions are one of the ways Azamara is perfect for couples. One of the best things about cruising with Azamara Club Cruises is that they're one of the only cruise lines that overnight in many ports, allowing you to experience the energy, romance and culture of the world's most beautiful cities at night. From Santorini, Greece to Venice, Italy to Rio de Janeiro, Brazil–and dozens more of the most stunning destinations on earth—you'll eat, explore, and live like a local. And you'll enjoy it all together. Insider Tip: Reserve one of Azamara's “Nights in Private Places” packages where you and your loved one will be treated to an evening of lavish pampering that starts with a romantic dinner, personal butler service and ends with spending the night under the stars. This comfortable and casual 332-passenger ship is one of the best romantic cruises for couples of any age or activity level. Exploring the more remote, iconic tropical destinations in the South Pacific year-round, a voyage with Paul Gauguin is perfect for honeymoons, anniversaries, or bucket-list getaways to paradise. Guests arriving to Bora Bora for their Paul Gauguin cruise. From thoughtfully designed suites (several with personal butler service) to large balconies offering spectacular sunsets to extra niceties for couples like rose pedals delicately sprinkled around your cabin, Paul Gauguin Cruises offers romance both on board and on shore. You can spend the day splashing in the azure blue waters of Fiji and then eat, drink and dance the night away at L'Etoile, their main restaurant serving up a French-Polynesian fusion followed by fun at the La Palette Lounge. The most all-inclusive, always romantic experience at sea is an elegant cruise with Regent Seven Seas. You'll enjoy every day exactly as you wish while exploring the world’s most beautiful places—with everything included—from flights to excursions and from fine wines and premium spirits to gourmet restaurants. One of the best luxury lines for couples due to it's casually elegant ambiance combined with the privacy you may desire, Regent takes care of every detail aboard their luxuriously appointed and perfectly sized ships with no more than 375 suites. 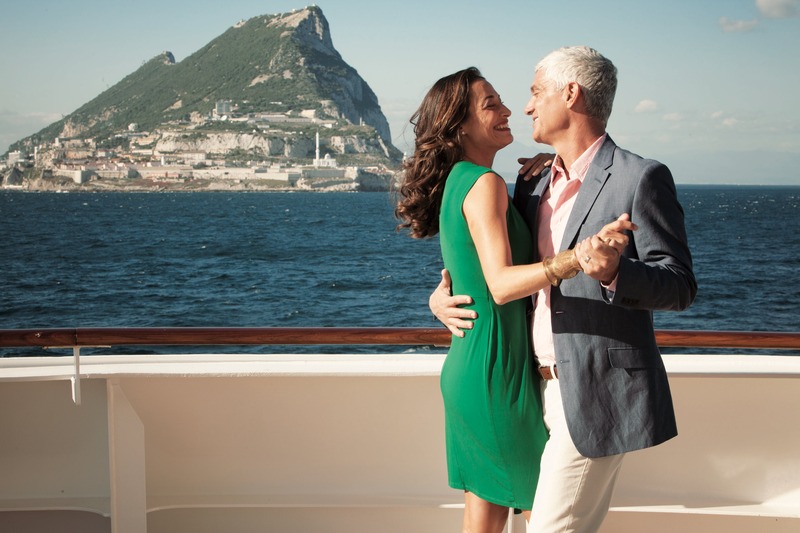 Regent offers one of the most romantic experiences in all of cruising. Regent's spacious, stylish suites come complete with elegant décor, marble-appointed bathrooms, beautiful balconies, 24-hour room service and select suites even include a personal butler committed to providing the best experience possible. Plus, suites include a variety of romantic room options such as a preferred selection of luxurious bed linens, a luxurious pillow menu and your choice of Guerlain, Bottega Veneta and L'Occitane® Mer & & Mistral soaps, shampoos and lotions. Insider Tip: The Culinary Arts Kitchen classes aboard the Seven Seas Explorer is a must-try onboard activity for any couple with a desire to enhance their kitchen skills in an informative but fun environment that mimics prestigious French culinary schools. For recommendations on the best luxury cruise lines for couples best suited for you and your partner, connect with a CruiseInsider expert or call us today at (877) 734-6858.